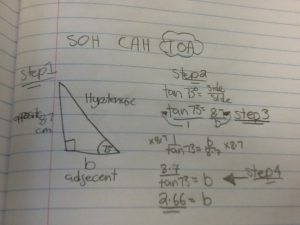 What we did this week was Trigeometry. Trigeometry is about solving right angle tringles which is finding about the missing side or the angle point. which is always the variable. The way to solve is by sine,cosine,and tangent. 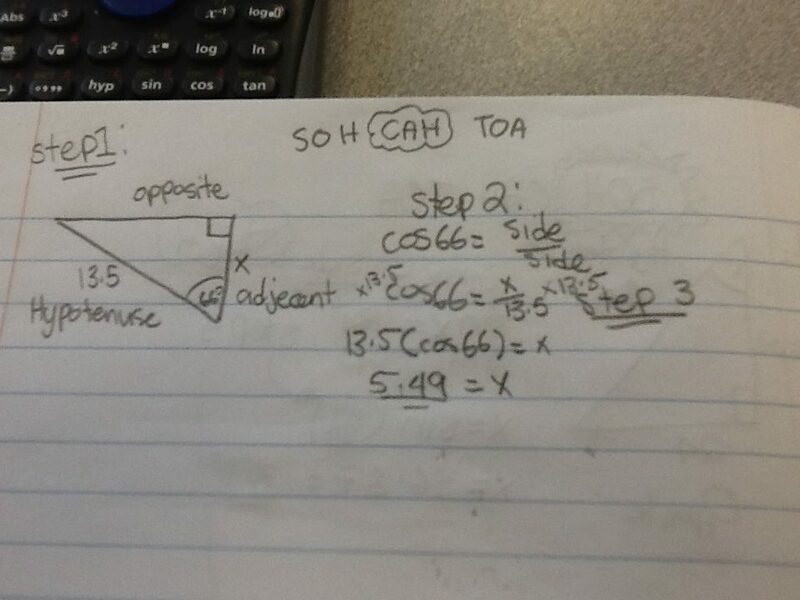 step 2:solve for missing side by using SOH CAH TOA and I picked SOH for sin. 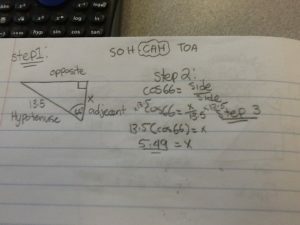 step 3: to solve for missing angle, you have to use inverse sine equation like above and transfer the sine to other side. for this one u have to find the missing side. 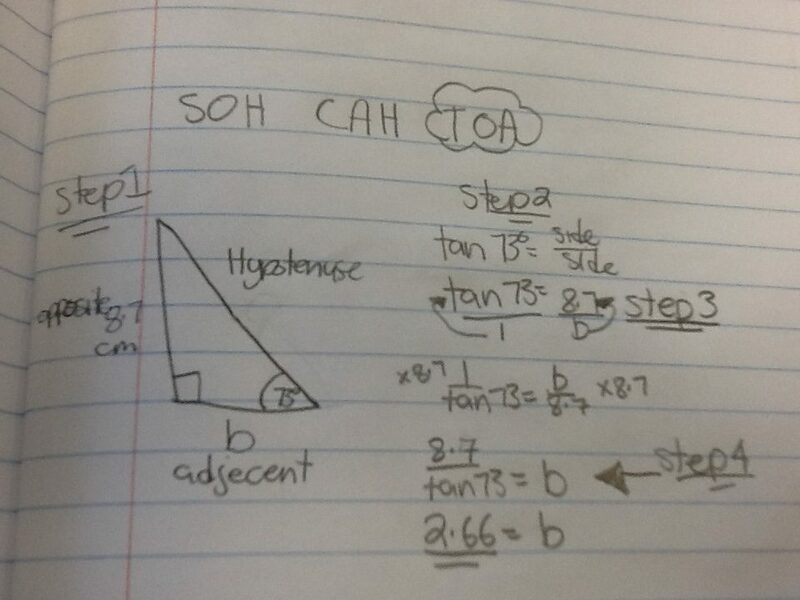 step 2: use SOH CAH TOA, for this you have to use TOA for tangent. STEP 3: the variable is on the bottom, so you have to reciprocate or have variable on top. step 4:devide to get answer! ☝ for this one I had to find the missing side. step 1: label and find missing variable. 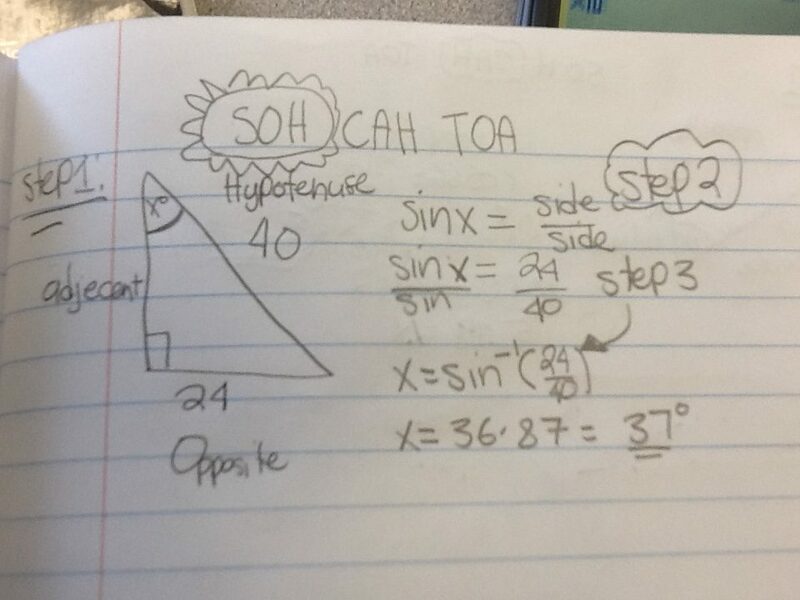 Step 2:SOH CAH TOA. I’m using CAH for cosine. 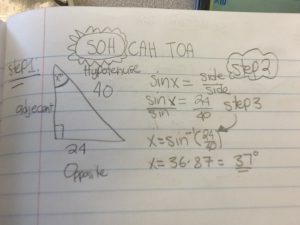 this is is what and how to do Trigeometry.